Pyrite has a shiny golden-yellow color and a metallic luster. Its name comes from the Greek word pyr, meaning "a gemstone that strikes fire," due to the sparks produced when pyrite strikes iron. While pyrite has a history of being mistaken for gold, they are differentiated by pyrite's lighter, tougher, broken-faced grains. 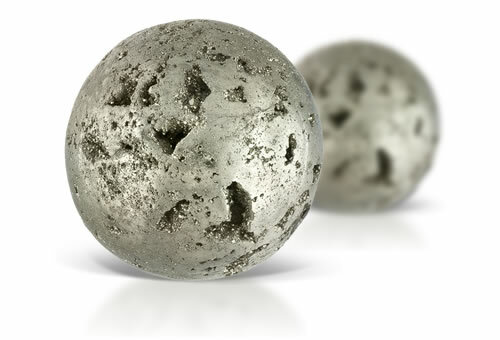 You may hear pyrite called by its nickname 'fool's gold,' or its jewelry trade name, "marcasite."